Despite having lived in Michigan my whole life, I made it nearly 30 years before ever setting foot in the Upper Peninsula. Nevertheless, I was always aware of certain undeniable cultural differences between the two peninsulas. I knew people from the U.P. are “Yoopers” while people from downstate are “Trolls” (because we’re “under the bridge”). We speak with different accents: a popular bumper sticker reads “Say yah to da U.P., eh!” I knew that given their proximity to Wisconsin, U.P. football fans are more likely to root for the Green Bay Packers than the Detroit Lions. And then, of course, there’s something of a regional U.P. delicacy — the pasty. To clueless Trolls, the pasty (that’s “PAST-ee,”not “pastey”) is a baked dough pocket filled with a mix of ground beef, potatoes, carrots, and rutabaga (or “rutabeggie” as Yoopers like to say, as I will learn). It’s not that we don’t have pasties down here, but in the U.P., the pasty is something special. That’s why I knew that my first pasty had to come from the U.P. My first stop in the U.P. is at Wildwood’s Pasties outside of Brevort, not far from the bridge. The shop is presided over by Mark Spencer, a U.P. native and Navy vet who has owned the place for eight years. Spencer explains that to the miners, the appeal of the pasty was its portability. 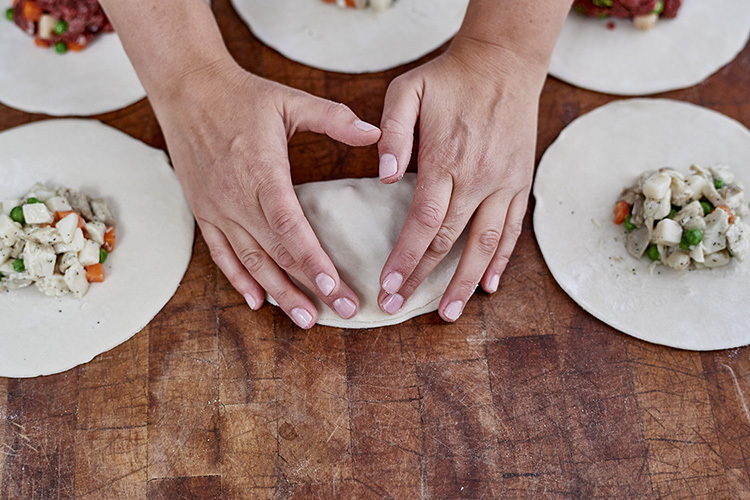 According to local lore, the folded dough creates a crust that a miner could presumably hold with dirty hands, and miners could reheat their pasties on a shovel over a flame. The pasties arrive at our table in a few minutes. I pour the provided cup of gravy over the top of mine and dig in with a fork and knife. For what it’s worth, I decide that my first-ever pasty is good, the filling containing a flavorful mix of spices I can’t quite put my finger on. It’s a hearty meal, and I can’t imagine eating it gracefully with my hands, especially with the gravy on top. After washing it down with a Vernors, I’m stuffed and ready to hit the road. A few hours later we’re hungry again, and decide to stop in Munising, a city along the shore of Lake Superior, for our second pasty of the day. We stop at Muldoon’s, a storefront house notable not just for the sasquatch statue on its front lawn, but also for having the No. 1 pasty in the U.P. — at least according to a plaque from Marquette’s Mining Journal, the U.P.’s largest newspaper. Despite the fact that it is mid-May, the weather feels more like November. Muldoon’s doesn’t have any indoor seating, so we take our pasties out to a picnic table on the porch. This time, I cover mine in ketchup, and cut into it. Muldoon’s crust is flakier, almost like a dessert, and pleasantly cuts in half with ease — though its filling is a bit more bland than Wildwood’s. It releases a little cloud of steam into the cold air. Huddled outside on what is more than likely a statistically average Michigan day, I become acutely aware of the appeal of the pasty: It’s hot, it’s quick, it’s six bucks — and it’s very filling. To better appreciate the pasty, we decide to head 365 feet underground. We’re at the Quincy Mine. It’s a now-defunct copper mine in the U.P.’s northernmost Keweenaw Peninsula. Quincy was just one of many mines that cropped up during the U.P.’s 19th century mineral rush, but it was one of the most successful, earning it the nickname “Old Reliable.” In its heyday the mine’s No. 2 shaft was the world’s deepest, creating an ant farm-like network of some 300 miles of tunnels burrowing 9,260 feet down into the earth. Notable to our story are the Cornish, or people from Cornwall, England: master miners who brought to the U.P. expertise dating back to the Bronze Age. They also brought the pasty. Back then, the recipe was different: leaner on meat, with a crust made with a dollop of lard. The meal packed a hefty 5,000 calories, and the grueling work certainly called for every single one. The Cornish system of mining was ruthlessly efficient. Miners weren’t paid an hourly wage, but paid based on production. The mining company provided the tools workers would need (steels, blasting powder, fuses, and candles) but with a catch: These items would be deducted from the miner’s pay at the end of the month. Tom Wright, our tour guide, lights a candle to demonstrate. “Now, it is the 1850s,” he says. He flips a switch, turning off the tunnel’s electric lights. We nervously laugh as darkness surrounds us. Wright explains pre-Industrial Age mining methods: One man held a piece of steel while another used a 12-pound hammer to drive it into the rock — at a rate of about 40 whacks a minute, 10 hours a day, six days a week.. Two-man teams were often familial: father and son, uncle and nephew. The tunnel is silent except for the sound of dripping water. Then Wright blows out the candle. 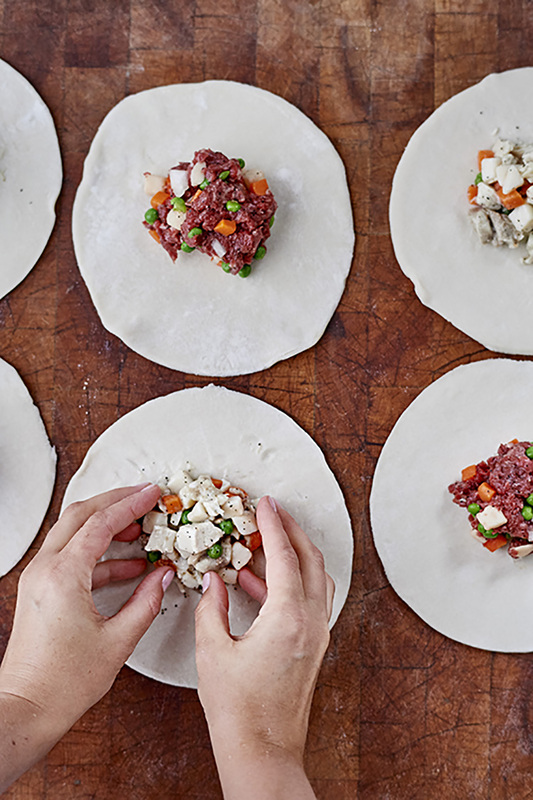 According to pasty connoisseurs, there are other details that can make or break a pasty. Owner Roy Nahri of Roy’s Pasties and Bakery in Houghton says his pasties are derived from his father’s award-winning recipe, using a combination of beef and pork for the meat filling. But the secret, he says, is in the perfect balance of seasonings. Harsch says an increasing part of his business is exporting half-baked pasties to customers not just in the Lower Peninsula, but across the country and beyond: once people have one, they get hooked. An oft-repeated local legend states at one time, the U.P. copper mining town of Calumet was once considered as a possible location Michigan’s state capital, losing out to Lansing by just one vote. The myth has been debunked (the vote happened in 1847, and Calumet didn’t exist until 1864), but it’s understandable why it has persisted. 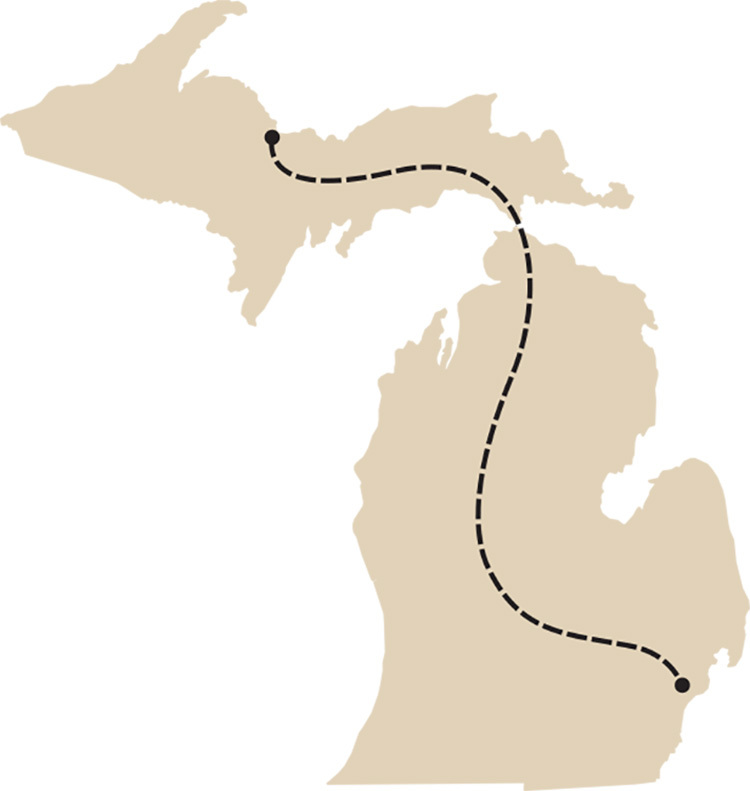 At its peak at the turn of the century, “Copper Town” boasted 70,000 residents (then, Detroit had around 200,000). 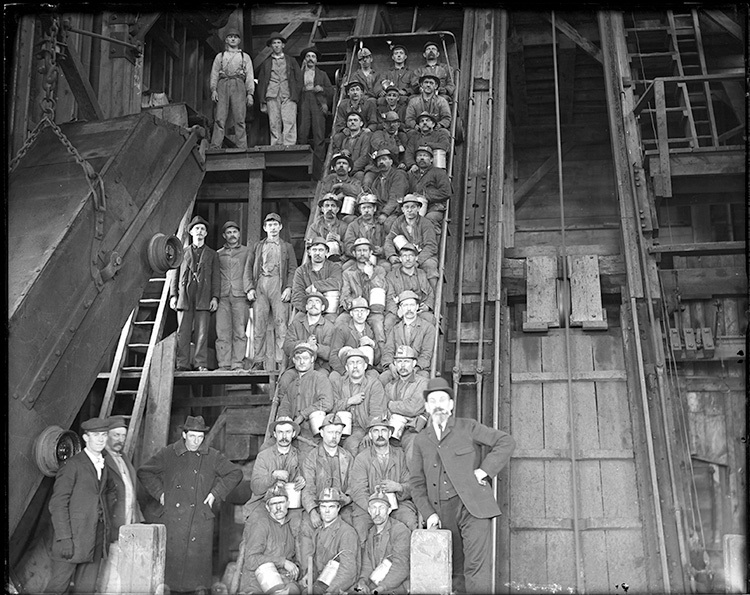 The mining industry would lose workers following the announcement of Henry Ford’s “$5 work day” in 1914, and copper mining would further decline into the 20th century, grinding to a halt in the early ’30s. Today, Calumet has a population of just 700. A hot topic for many is the imminent closing of the Empire Mine in nearby Ishpeming, one of the U.P.’s last remaining iron ore mines. When the mine closes, some 400 union workers will be out of a job. “It’s going to be the next Flint,” a woman named Tara says over a beer at Marquette’s Blackrocks Brewery. In a sense, it’s easy to see Michigan’s Upper and Lower Peninsulas as two sides of the same coinâ€„— both places have ridden the waves of the boom and bust of capitalism. But still, the differences remain. We ask people at the brewer’s bar what they think about Trolls. But can Yoopers be blamed for feeling left out? Sarah shows us a Facebook page that collects various modern-day maps in which the U.P. has been erroneously omitted from Michigan, and sometimes even from the entire U.S. On TV, you almost never see or hear anything about the U.P. unless it’s a Pure Michigan ad. And with “the Mitten,” what has become a cutesy shorthand for Michigan ignores the fact that there’s an entire other half of the state up there. What about “Troll?” Is that supposed to be derogatory? But no matter how different the two Michigans may be, the pasty is a shared state treasure for both Yoopers and Trolls — even if we can’t agree on gravy or ketchup. Part of our 2016 Food Issue series on iconic Michigan dishes.